The pharmaceutical industry has always maintained a focus on quality; the risks are simply too high not to! 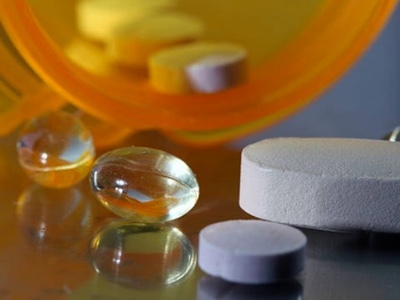 Now, however, we are seeing an increased emphasis on tackling quality upfront in the pharmaceutical manufacturing process. This means introducing quality as a consideration during the R&D phase rather than waiting until the product is designed and then thinking about how quality will be maintained. After all, quality cannot be tested into a product, it should be there by design. An approach widely adopted in other industries that is gaining traction within the pharmaceutical industry is Quality by Design (QbD). Combined with process analytical technology (PAT), QbD is driving the move away from empirical methods towards a systematic, data-driven approach. 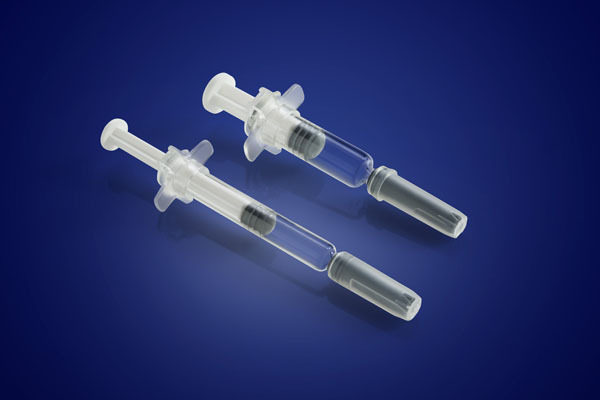 Not only are these twin approaches highly recommended by regulatory authorities, they also result in the development and manufacture of better products with improved efficiency and a reduction in late-stage quality issues. 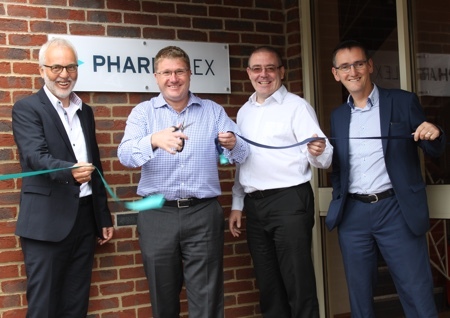 It’s becoming increasingly clear to the pharmaceutical industry that the advantages significantly outweigh the investment. 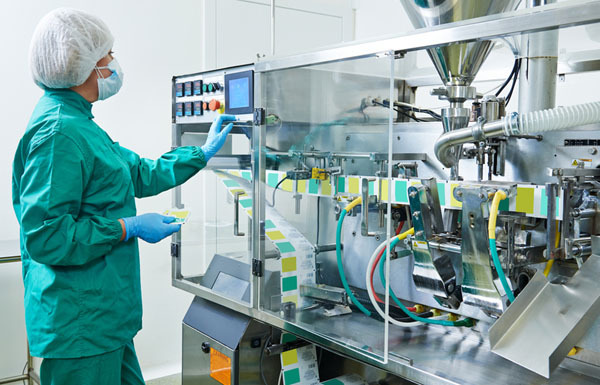 Despite requiring a number of additional steps, particularly during the early stages, QbD offers a wide range of benefits that can be realised throughout the pharmaceutical development and manufacturing process. Product development: There is no getting away from the fact that the product development phase is longer and more detailed with a QbD approach; however, the resulting reduction in variability makes for significantly lower risk and saves time overall. Through detailed characterisation of both the API and the excipients, the critical quality attributes (CQAs) can be defined. 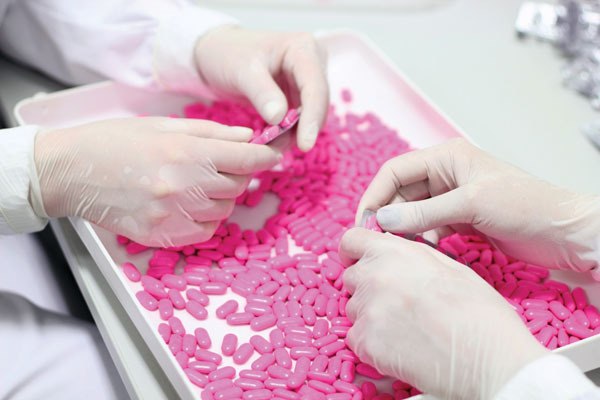 Whether physical, chemical, biological or microbiological, these characteristics are important to the quality of the drug product and are continuously monitored to ensure products remain within acceptable quality limits. This information facilitates the identification of the critical process parameters (CPPs), which are the key variables affecting the production process. CPPs are monitored to detect deviations in standardised production operations and product output quality or changes in CQAs. This minimises the production of unfavourable batches and so reduces wastage of time, costs, APIs and, potentially, costly excipients. Scale-up: The challenges of scale-up from laboratory scale to mass production should not be underestimated. With a QbD/PAT approach, the manufacturing process is better understood, making it easier to develop a product that will scale-up effectively. In addition to making the process more efficient, this approach reduces the risk of unexpected problems that could significantly affect timescales. Regulatory compliance: With a concrete understanding of the CQAs and CPPs, it is then possible to create a formulation and process ‘design space,’ which acts as an operational range. Keeping all parameters within this design space ensures compliance with the quality target product profile (QTPP). The design space also allows for later-stage adjustments to be made without necessarily having to register them with the authorities, which might otherwise cause significant delays in getting the product to market. Real-time release: Real-time release testing (RTRT) is made possible by QbD/PAT. This provides better assurance of quality and also means that any manufacturing problems can be dealt with in a faster, more informed manner. 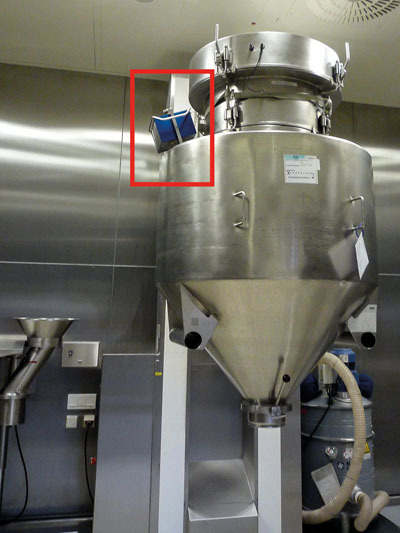 Continuous improvement: Rather than assess a number of discrete batches, continuous process verification reduces the sampling effort and increases quality assurance. By constantly pushing the process back towards optimal, manufacturing parameters are kept within acceptable limits and any issues can be addressed as soon as they arise. Regulatory authorities, including the US Food and Drug Administration (FDA) and the European Medicines Agency (EMA), are also actively encouraging QbD and PAT. The FDA first launched guidelines describing QbD’s process and benefits in 2002.1 Two years later, it published further guidance aimed at the pharmaceutical industry, again highlighting the importance of adopting new technologies and approaches.2 QbD has also been encouraged by the International Conference of Harmonization of Technical Requirements for Registration of Pharmaceuticals for Human Use (ICH). For QbD to be a viable option for all parties involved, authorities may need to change their own approaches to evaluating documents provided by the pharmaceutical industry. This means ensuring that everyone has a robust understanding of the impact of QbD and that standards and requirements are adjusted accordingly. There are three key steps to implementing a QbD approach to pharmaceutical development and production: profiling the product and CQAs during early development; designing experiments and defining a meaningful design space during the formulation/manufacturing process development; and setting a strategy for manufacturing and control during scale-up and routine production. 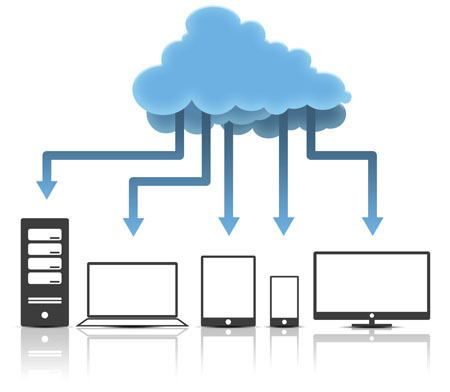 Ongoing verification is used to ensure the process continues to operate within the stipulated parameters. Product profiling: The QTPP sets out in detail what is expected from the product, providing a starting point to identify the CQAs later in the process. 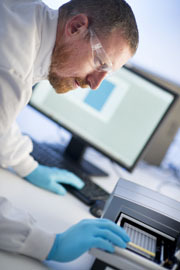 As part of this profiling, risk-based characterisation of any API and excipients beyond compendial requirements is performed, which may include assessment of particle size distribution, morphology, polymorphism, processability, hygroscopicity and batch-to-batch or supplier-to-supplier variation. In addition, the dosage form and strength, release profile, storage and stability requirements may be reviewed. 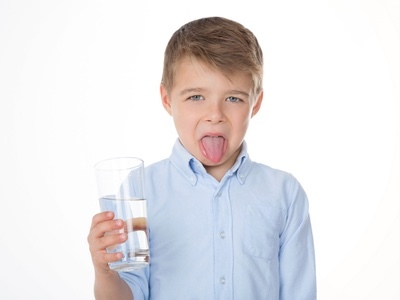 Risk analysis and CQAs: It should be possible to assess and control any factor (physical, chemical, biological or microbiological) that could potentially affect the quality of the final product. In doing so, it’s important to look at APIs and excipients both in isolation and in combination to build as complete a picture as possible. Failing to keep such factors within the set boundaries creates the risk of manufacturing substandard products that may lead to manufacturing downtime, increased costs, supply shortages and could also potentially damage supplier relationships. CPPs are variables contributed by the manufacturing process with the potential to impact the CQAs, resulting in a low quality product. The greater the potential CQA impact, the more closely the CPP should be controlled. 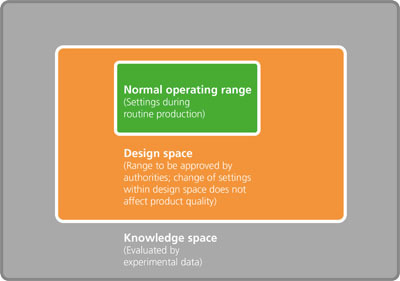 Design space: The next step is to define the design space, which could be the relationships between specific and well-chosen process inputs and the CQAs. With this in place, as long as all parameters are kept within the established design space, the CQAs must be acceptable. A design space is not only useful to the manufacturing process, but also demonstrates to regulators that the company knows their process in detail and has control over it to ensure a high quality product. The approved design space acts as an operational range that allows for some variation as long as all aspects remain within the design space. This approach is a flexible one, meaning that small changes can be made without needing to resubmit updated information for approval. Creating the design space combines experimental data and mechanistic understanding to model how the process will perform under certain conditions. Statistically designed experiments may also provide useful information, as do scale-up correlations (Figure 1). Manufacturing and control strategy: From all the information gained thus far, QbD requires that a control strategy is developed to ascertain which analytical methods are needed and at what stage during the process. The control strategy can be further improved using PAT to facilitate monitoring and control of the process, often in real-time. Regulatory approval is based on the process remaining within the design space. Should it move outside of this, this would constitute a new design requiring its own approval. Ongoing verification: Continuous process verification ensures that quality is assured. This differs from traditional verification methods in that it does not see validation as a discrete exercise. PAT works to support the QbD approach by placing an emphasis on measurement — knowing exactly what’s happening with the pharmaceutical process and being able to control it. 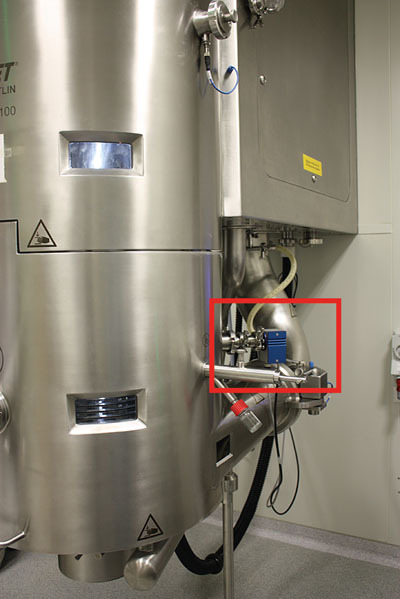 At-line or inline analysis using techniques such as Raman or near-infrared (NIR) spectroscopy is combined with active process controls (closed-control-loops) to provide rapid data acquisition with little interruption to the process (Figures 2 and 3). With such data available in real-time or with minimal delay, operators can take the necessary action to keep production within range. This reduces the amount of final product testing required, enabling faster batch release. A PAT approach brings cost and time benefits and reduces the number of failed batches. For companies looking to implement a QbD approach, one of the options available to them is to work with a partner already specialising in QbD. At HERMES PHARMA, we find that with increased experience of working within a QbD framework, development times become shorter. In addition, synergies arise between existing and subsequent developments owing to the ability to adopt CQAs and CPPs from comparable product developments. It has taken time, but the pharmaceutical industry is seeing the benefits of using QbD and PAT approaches to improve quality. This move from empirical to data-driven makes for a more robust production process and means evidence-based decisions can be made early on. Regulatory authorities are clearly keen for such approaches to be more widely adopted as it provides more hard data on which to make approvals, reduces the number of resubmissions required and drives a focus on quality across the industry. Patients will also benefit from the enhanced level of quality surrounding the development and production of their medicines, which are consistently safe and efficacious. 1. FDA, Pharmaceutical cGMPs for the 21st Century — A Risk-Based Approach: www.fda.gov/downloads/drugs/developmentapprovalprocess/manufacturing/questionsandanswersoncurrentgoodmanufacturingpracticescgmpfordrugs/ucm176374.pdf (2004). 2. FDA, Guidance for Industry: PAT – A Framework for Innovative Pharmaceutical Development, Manufacturing and Quality Assurance: www.fda.gov/downloads/Drugs/Guidances/ucm070305.pdf (2004).